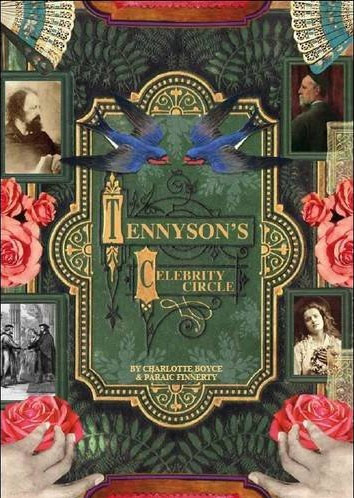 To accompany this website Drs Páraic Finnerty & Charlotte Boyce, Senior Lecturers at the University of Portsmouth, have published the booklet, Tennyson’s Celebrity Circle. This booklet tells the story of what happened when the most famous poet of the Victorian period, Alfred Tennyson, attempted to extricate himself from his own celebrity by moving with his family, in 1853, to Freshwater on the Isle of Wight. His decision transformed Freshwater into a Victorian tourist attraction & enticed some of the most admired figures of the nineteenth century there. It also created one of the most renowned celebrity circles of the age – a circle that included the most famous female photographer of the day, Julia Margaret Cameron; the most famous artist & sculptor, G. F. Watts; & two writers, Edward Lear & Lewis Carroll, who, although less well known at the time, later came to achieve a literary celebrity that is indisputable. The interactive map of Freshwater gives a very much shortened version of the story, however, the booklet provides a more detailed account. Click here to buy a copy of Tennyson’s Celebrity Circle.